Welded tubular steel frame and plywood deck. 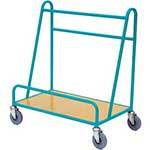 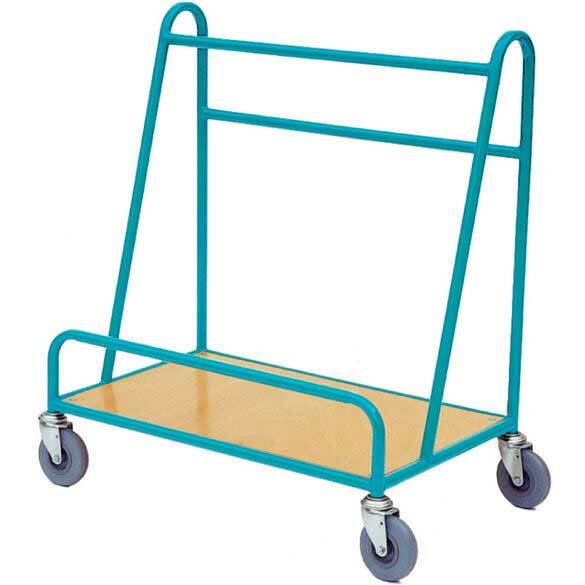 This welded tubular steel frame with a 200kg weight capacity is specifically designed with its slanted support frame for carrying boards and panels in a safe and secure manner. 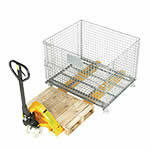 Great for warehouses and large stock or store rooms, it has 4 swivel rubber tyre plain bearing wheels.